IWATA, Japan– For the first time ever, a Canadian representative was crowned champion at the Yamaha World Technician Grand Prix, held at Yamaha Motor Corporation’s headquarters in Iwata, Japan on October 17. Brett Hart, a master technician at Blackfoot Motorsports in Calgary, earned the prestigious title at the eighth running of the World Tech GP. Hart earned his spot in the world finals by winning the Canadian qualifier, held at Yamaha Motor Canada’s Toronto offices in July. A Canadian was crowned champion at the Yamaha World Technician Grand Prix in Japan for the first time in history. Brett Hart, a master technician at Blackfoot Motorsports in Calgary, earned the prestigious title at the global finals of the Yamaha World Technician Grand Prix. Hart had previously been a three-time Canadian finalist before breaking through with his first win this year. Similar to the Canadian competition, the day-long WTGP in Japan included both technical and customer service labs, providing an extra level of challenge for staff who spend most of their time wrenching behind the scenes rather than interacting with customers. 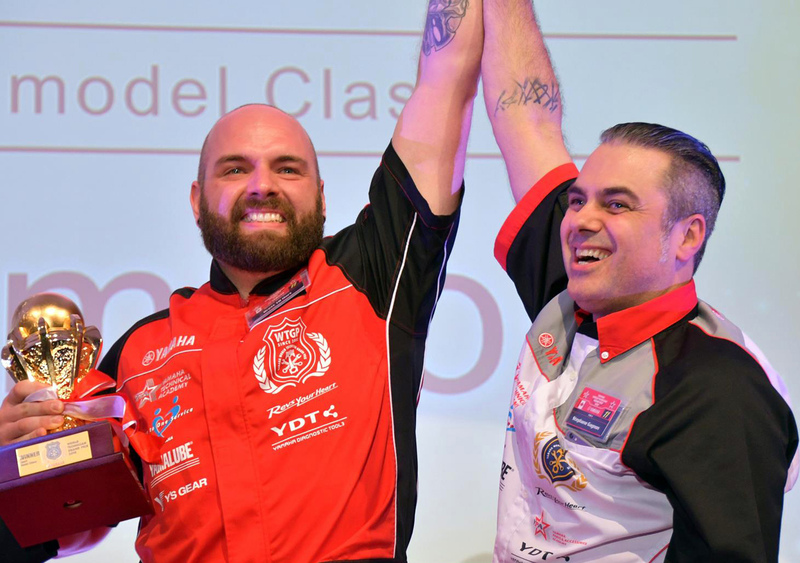 Hart bested 21 competitors representing 19 countries and regions, finishing ahead of second-place Darren Stout of Australia and third-place Alan Simmonds in the Sports Model class. 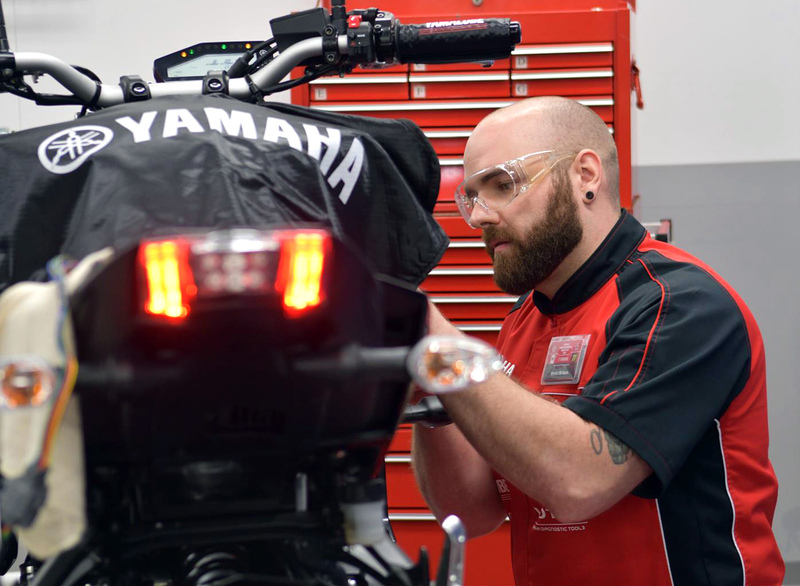 There are an estimated 34,000 Yamaha Technical Academy-certified technicians across the globe, making Hart’s achievement all the more stunning. 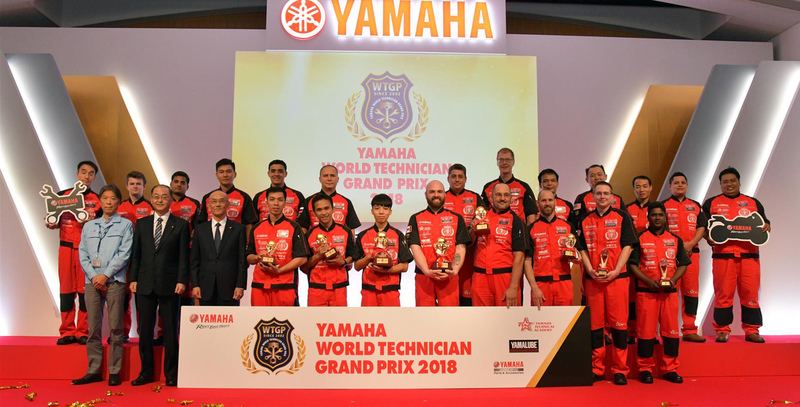 The competitors in the Yamaha World Technician Grand Prix in Japan are shown assembled with Brett Hart (front row centre) a master technician at Blackfoot Motorsports in Calgary who earned the prestigious championship title at the eighth running of the World Tech GP.